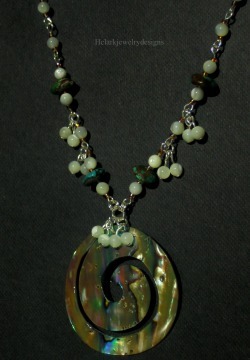 Mother of pearl with turquoise and abalone pendant. 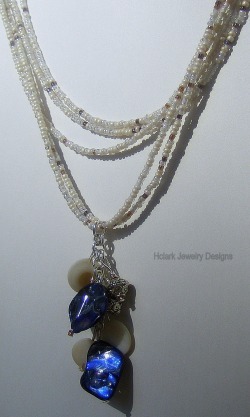 Five strand beaded necklace with shells and blue pearls. Finished with bali beads and lobster clasp. Added chain to make desired length possible. 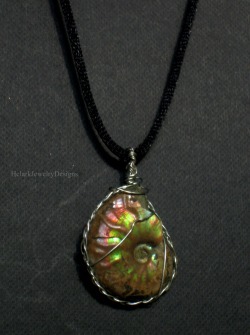 Ammonite pendant and silver wire wrap. 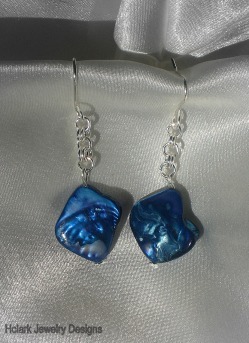 Matching earrings for the bali beach pearls necklace. They measure approx one inch long.